Today I'm happy to have a nice lunch out and enjoy New Years soba. 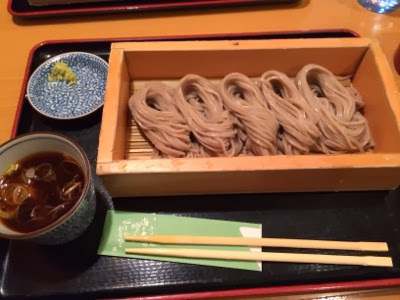 It's a Japanese tradition that during the new year, you eat soba. Soba is made from buckwheat flour which can be ate in a chilled soup or hot soup.